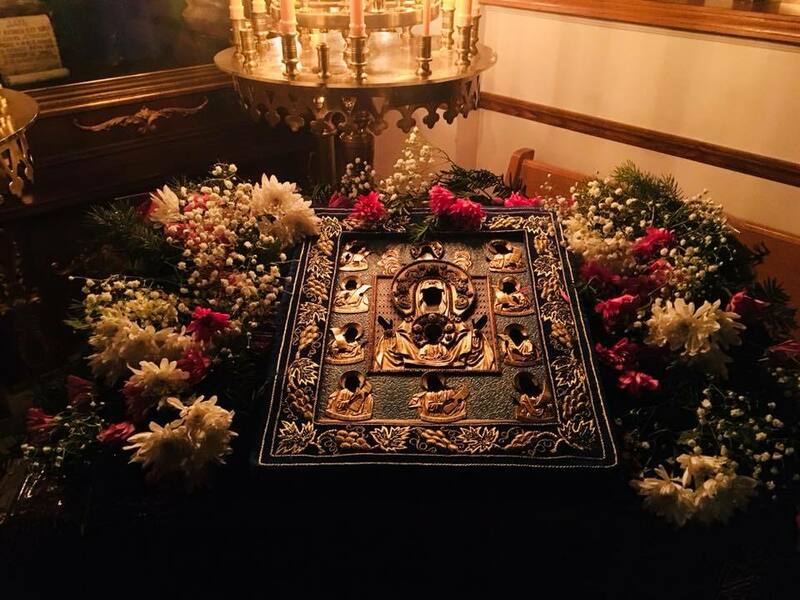 On Tuesday, March 6 and Wednesday, March 7 the clergymen of the Michigan and Ohio Deaneries gathered in the presence of the wonder-working Kursk Icon of the Mother of God at the Dormition Cathedral in Ferndale, MI. On Tuesday evening the General Unction service was held at which approximately 150 of the faithful were anointed with the blessed oil. On Wednesday morning the Divine Liturgy of the Presanctified Gifts was held. The gathered clergy had the opportunity to partake of the sacraments of Unction and Holy Communion together, and to share their Lenten struggles while lending support to each other during this spiritually challenging, and potentially spiritually fruitful, time of year. Much thanks are due to Archpriest Victor Trotskyy, Rector of the Dormition Cathedral, and to the parishioners of the Cathedral for their efforts in welcoming so many guests for these weekday services. After each Divine Service a bountiful meal was offered, and at each Divine Service the Cathedral Choir sang beautifully. 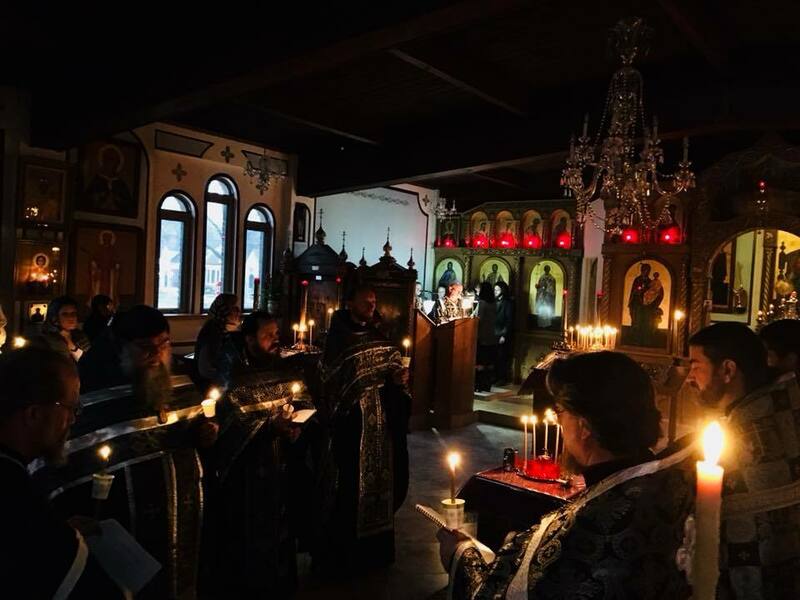 The clergy left this gathering spiritually renewed – ready to lead their parishioners in the completion of the Holy and Great Lent and to meet the Resurrection of our Lord with zeal.